Another classic story on primetime local television is on the road to phenomenal status as ABS-CBN's newest show premieres on Monday, January 4. The pilot episode earns good reviews on social networking site Twitter as it wows audience on it's cinematic look and special effects that is beyond television. This is the first TSE post for a review on local scene which aim to promote the effectiveness of Filipinos on bringing good show for the masses. 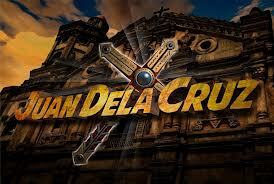 TV giant, ABS-CBN said that 'Juan dela Cruz' is the biggest primetime show of the network this 2013. "It centers on the Filipino everyman whose faith and strength of character help him fight against evil", ABS-CBN added. Juan dela Cruz, a half-tagapagbantay and half-aswang falls in love with an aswang-hunter. The drama explores themes in Christianity, culture and Philippine mythology such as aswang (fearsome, vampire-like shape-shifters), and tagapagbantay, the Philippine version of guardian angels. The protagonist's name is derived from the Philippine national personification. Reports said that the show was originally a film concept for the 2012 Metro Manila Film Festival. In August 2012, Cinemedia Films Production Incorporated and ABS-CBN Unit Head, Deo Endrinal confirmed that it would be serialised into a television drama. It is under the production of Dreamscape Entertainment TV. Juan dela Cruz is directed by Malu Sevilla and Avel Sunpongco and topbilled by Philippines young generation's superstar Coco Martin.